No, this is not Jane Austen Manga. But it almost could be! 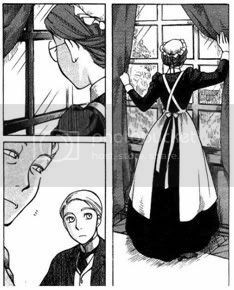 Set in Victorian England, Emma is the story of the forbidden love between a quiet and intelligent maid, Emma, and an upper-class man, William. William and Emma first meet because Emma’s employee, Lady Kelly Stower, was William’s teacher when he was young. Lady Kelly is a fascinating character in her own right. Widowed at age 20, she became a governess to make a living. Her strong spirit obviously made an impression on her students, who still visit her now that she’s in her old age. William and Emma get to spend some time together, and they quickly fall in love. 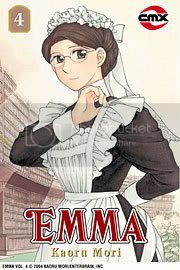 But despite the fact that she’s intelligent and educated, Emma is only a maid, and they both know that William’s powerful family would never accept the match. Victorian drama? Yes! And no. Yes because there’s excitement and forbidden love and secrets and misunderstandings, and, later in the series, even fainting spells and kidnappings. But no because the general tone of the series is very quiet. The story is set in England, but in a way it still feels very Japanese. I think I’ve mentioned before that I’m always wary of making generalizations like this, especially about cultures I’ve had no direct contact with, but this is the feel I get from Japanese art: very contained, very subtle, very full of emotion but not displaying it in an overt manner. And this is exactly how Emma is. I loved it. I loved Emma herself, who is graceful, determined and smart. She reminded me a little of Jane Eyre – Emma is perhaps quieter, but just as passionate in her own way. And I wouldn’t be surprised to hear that Charlotte Brontë’s novel helped inspire this story. As the story progresses, we find out more about Emma’s past, and she gains more depth. As do the other characters in the story. I loved the setting too. What’s not to love about Victorian London? And in the later volumes the story is set in Yorkshire too. 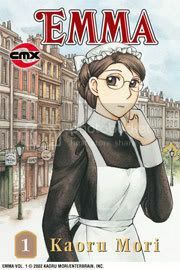 Kaoru Mori used a historical consultant for the series, and while I’m by no means an expert in the Victorian period, everything feels right. I suppose the only exception would be the dialogue, but that’s alright. Also, the series deals with themes that were certainly relevant in the Victorian period, and that haven’t really ceased to be relevant today, even if in different ways, – social class, gender roles and sexism, the all too common clash between what we want to do and what those who surround us expect of us, and the ever universal themes of love, trust, loneliness, friendship and loyalty. The social criticism, too, is far from dated. Are status and reputation all that important? Not to mention money, of course, and the notion that it somehow it defines a person’s worth. And the art! 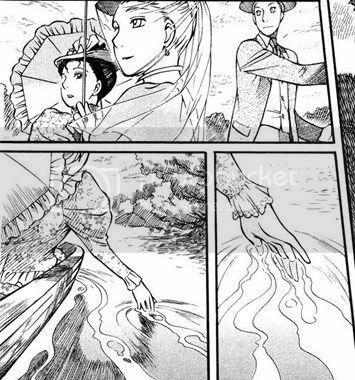 The art is gorgeous and very detailed, and it’s a big part of the reason why I loved Emma so much. It makes little sense to separate the art from the story when discussing comics, and this series is a perfect example of why this is the case. The quiet, restrained feel I was telling you about earlier is conveyed by the art. There are sometimes full pages with no writing at all, but no writing is necessary. The art is so expressive, so full of details like gestures or close ups of a character’s eyes that silently convey so much. And it works. It really, really works. Some of these silent scenes touched me more than any words could. I’d stare at the images for a very long time, appreciating the details, taking it all in. And if you’re thinking that a Victorian Romance with no emotional outburst is no fun, worry not. There are outbursts. Only they’re rare, and this makes them even more powerful. There are seven volumes in this series (not actually too long for a Manga series, from what I gather), and I read them all in two days. I won’t give away the ending, of course, but I will tell you that it was very satisfying. It was hopeful – I think you can tell from the very beginning that this won’t be a series with a tragic ending – but it still felt real. It wasn’t too easy. The obstacles Emma and William faced were serious ones in this historical context, and they were taken seriously. 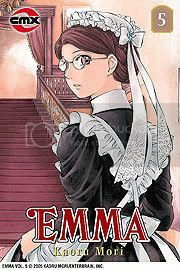 There will be three additional volumes called Emma: Further Tales, devoted to background stories about the series’ secondary characters. I'm very much looking forward to reading those too. Emma is just lovely. I had never heard of it until recently, but it was actually one of the YALSA’s 2008 Great Graphic Novels for Teens picks (along with other favourites of mine, like Laika, and probable future favourites of mine, like The Arrival). And deservedly so. So hooray! My second foray into Manga was possibly even more successful than my first one. The art on these is gorgeous!! Wow, the illustrations are beautiful!!! It sounds like a great series. I think it was made into an anime also. I saw it on YouTube, but it got yanked before I could actually watch the whole thing. Amanda and Melody, isn't it just gorgeous? And the story is a very good one too! Jessi: I've heard of the anime, and now I really want to watch it! I'd love to see this kind of art with colour and movement. Oh my goodness, I can't believe I'm finding myself saying this, but I think I might really enjoy this! It looks so utterly gorgeous, that it seems one (meaning me) would have to appreciate it for that, even if one (meaning me) still found themselves completely lacking in the class it takes to enjoy Victorian era stories. This may just be the intro into Victorian romance that I need! I grew up watching a lot of anime and I read a handful of Rurouni Kenshin manga (known in tv as the anime Samurai X) as well. 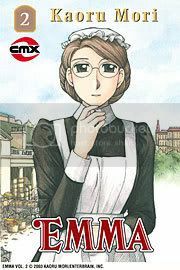 But this Emma looks something I'd definitely enjoy to bits! The more and more posts I see about manga, the more I feel like giving this genre a try someday. I have seen this in shops and was wondering if it was linked to Jane Austen. Thanks for sharing some of the plot and artwork, it definitely does look interesting. I love the drawing of the elephant. I love this review. I was an exchange student in Japan in 1987 and manga was huge then and I never took the opportunity to read any of it while I was there. With this review I am going to change all that and try to get my hands on these books!!! My library has 1-4...and I just requested them!!! uh, yeah, so I read this entire series yesterday! According to the bookstore, there is a volume 8 and 9 coming out this year, but it felt like it was over to me... Guess will have to wait and see! Anyway, I loved the series! The art is fantastic and the story was more my kind of manga. It had historical notes and everything. It was great! Lightheaded: I think you would! Rhinoa: the art is really beautiful. I hope you enjoy it if you decide to read it. 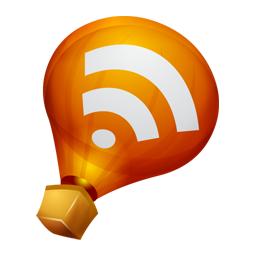 Staci: Great news! I can't wait to hear your thoughts on them. And how cool that you got to study in Japan. I'd love to go there. How come I had never seen this? It sounds and look great, gotta put in the wishlist! Yes, I also want to know how I missed this one! It's on the list now, of course... I wonder if my library would buy them. I've been a little heavy on the manga requests lately. But this looks fantastic. Thanks for bringing it to my attention! You know, I've never picked up a manga book before. It sounds really neat though - especially this series! As often as I look through the comics order catalog, Previews, I cannot believe I haven't noticed this one before. I think your description of this type of art is right on and is especially well suited to the time period that this is set in. It sounds wonderful and the artwork is terrific. I'm partial to the art in most manga anyway, though I do not read nearly as much as I would like to. I'm rarely disappointed when I do though, and don't ever recall being disappointed with the art. Thanks for this -- I had never heard of it, and I started salivating halfway through your review. 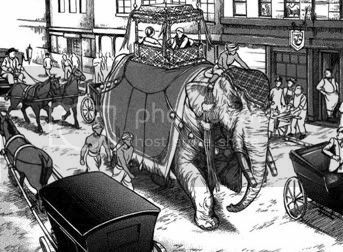 The pictures of Victorian London remind me of the way my head imagines Philip Pullman's fun Sally Lockhart series--exotic, dirty, complicated and teeming. Romantic with a capital 'R.' If you haven't read them, you should check out "Ruby in the Smoke." Court: I so need to watch the series! Kailana: Sorry! I sounded all YOU WEREN'T PAYING ATTENTION, MISSY!!! !1 and I totally didn't mean it like that :P I liked how the series ended, but I really look forward to finding out what happened to some of the other characters. Especially Eleanor...I felt so bad for her. tamabata: That is funny! But I'm really glad to hear you picked it to start with, and that you enjoyed book 1! Carl: Yes, the two series I've read so far had really great art! Alisa: I've read The Ruby in the Smoke, but not the rest of the series. I have book 2 waiting for me on the shelf, though...I really should get to it! Iliana: Do! I don't think you'd regret it. I picked up my very first manga novel ever tonight. It is a category that still intimidates me a little, but you and Rhinoa's reviews definitely give me some books to look for. This one looks great! Ladytink: I wish it did too! Love the illustrations! Cool stuff! this isn't normally my sort of thing, but it looks good, i'll have to look into them! Michelle: It's always fun to try something new every now and then! Bethany, I hope you enjoy the series as much as I did! I'm new to manga too and I couldn't have asked for a better introduction. This looks fabulous - I really love the artwork! My S-I-L Staci is raving about this series on her blog, so I thought I'd come check our your review. They sound great. I definitely have to get my hands on them. Heather: Hello, and thanks for stopping by! I hope you enjoy the series as much as Staci and I did!